UADM students dance during the Main Event on Feb. 17. 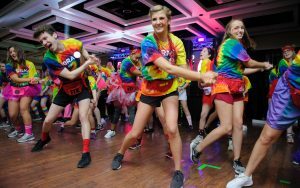 TUSCALOOSA, Ala. — The University of Alabama Dance Marathon raised $341,000 over the past year for the Children’s Miracle Network Hospital at Children’s of Alabama. The student-led organization announced its fundraising total at the annual Main Event Feb. 17. 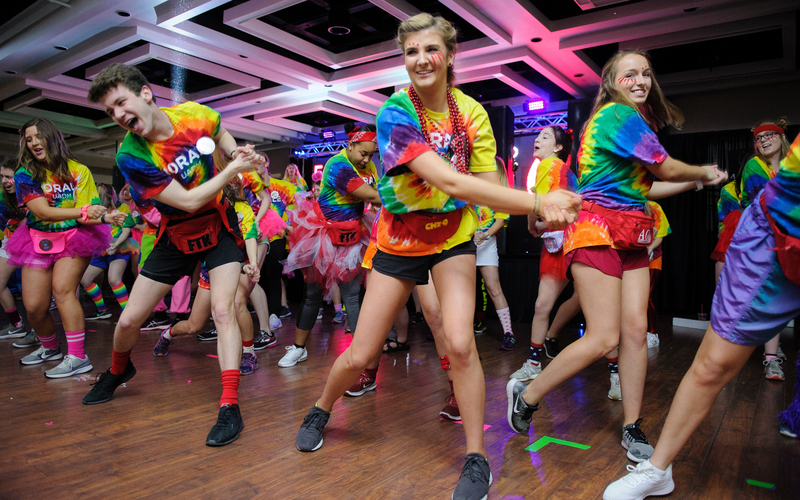 The Main Event is the culmination of UADM’s year, and more than 1,000 UA students participated in the 13.1-hour-long dance marathon held at UA’s Ferguson Student Center. UADM adopted 19 Miracle Families this year, and several attended the Main Event. Families addressed the crowd and children danced alongside UA students throughout the event. This year’s Main Event included the most successful in-event fundraising push that totaled $29,272.55. Love’s Travel Stops, longtime supporter of UADM, donated $10,000. Aside from the Main Event, UADM provides emotional support and organizes several events for Miracle Families throughout the year. Dance Marathon is a nationwide movement that involves college and high school students who raise money for local Children’s Miracle Network Hospitals. UADM was created in 2011 with the mission of providing support for children being treated at Children’s of Alabama in Birmingham.